This past week I have been reading an exceptional book and would like to share it. For many people, play and math are not words that go together. Yet in Sue Van Hattum’s book, “Playing With Math”, the two most definitely belong together. Too many children and adults have math anxiety. 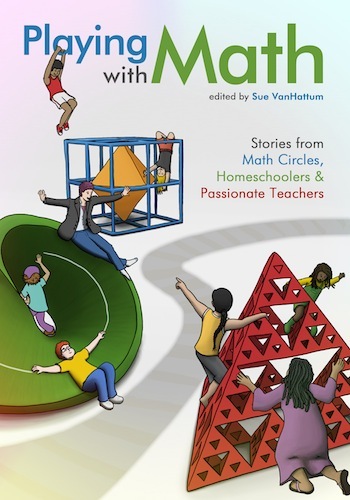 Sue tries to dispel that by sharing numerous short stories written by teachers, homeschoolers and even young people who love or have come to love math. There are numerous examples of ways to encourage and foster a love of math in children – through math circles, games, teaching practices. Each small chapter/story details ways of allowing children to play and discover math. Julia started a math circle she called “the art of inquiry” as she wanted the children “to make mistakes and enjoy it”. Getting children to ask the right questions “what if? and “Why?” was crucial. The group met once a week and explored problem-solving. Elisa’s story touched me deeply. As a teacher, I try to ensure all children feel good about math. Elsa was made to feel like a number, that no one listened to her. Yes she was slower, but it took an amazing teacher to propel her into a world of problem solving where she blossomed. There are so many resources listed in the book – from websites, to books to the challenges themselves. Some excellent advice at the end of the book highlighted the need for parents to encourage their daughters to stick with math and enjoy it. Sue Van Hattum’s book comes out in the fall 0f 2014. I would highly recommend reading it. Visit her site here. 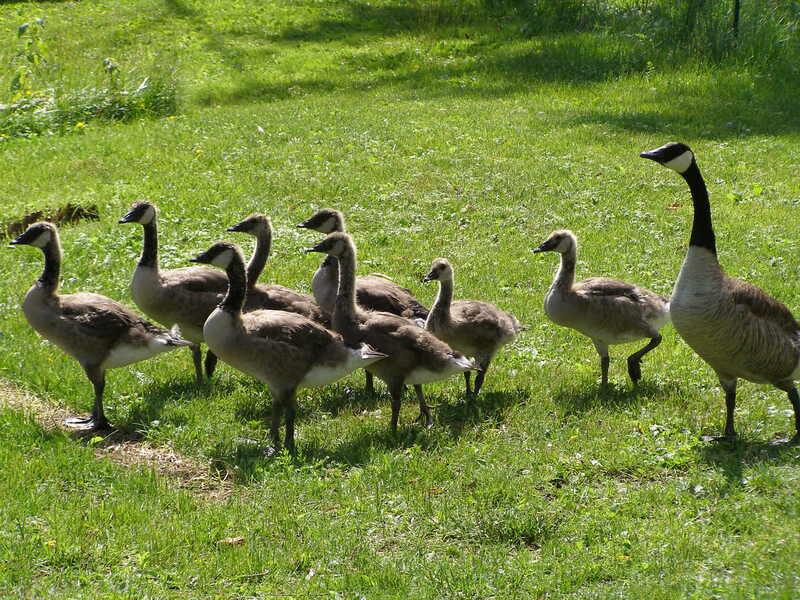 Today while visiting at Puslinch Lake, we watched several families of Canada Geese wander on the front lawn by the water. 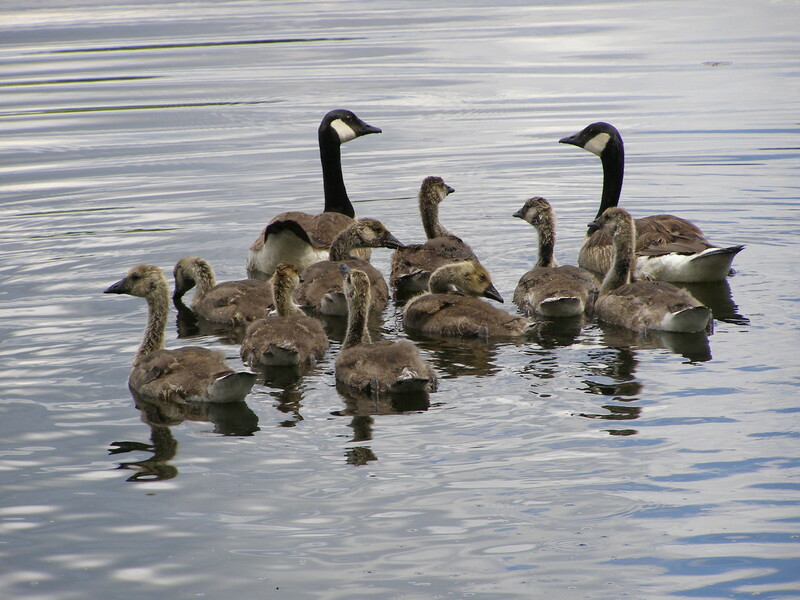 As we walked twwards them, the parents rounded up their offspring and headed to the water. By the afternoon, we had done this several times. The goslings are getting much bigger now. So fun to watch. Hard to believe that Round 2 is complete – 80 days of pursuing writing and being accountable. ROW80 has really helped me be more accountable and I feel that even though I did not complete all the goals I set back in April, I completed way more than I thought I would. 1. Write daily, for at least I hour a day. I am less worried about the word count, as I am of actually writing. Although I did not write daily, I wrote often, at least 4 out of 7 days each week, sometimes more. I won a critique for this story and it gave me new direction to edit and revise. I put this one aside and will tackle it this summer. I bought an excellent book on the Iroquois and am fascinated with my research. Still have more to do. This one was easy to do. Twitter was excellent for pointing me to some great blogs and articles. This was on hold as I was still researching and taking the courses. This I was able to do most of the time, sometimes even 3 posts a week. I started off strong, then went to once a week. There was much value in taking part in ROW80 and I plan to take part in the next round., which starts July 7th. All the best to fellow Row80ers. I am looking forward to achieving these goals and being accountable for them, in a supportive community. Today it’s time to share what you’ve been reading lately; Jen at “Teach Mentor Texts” hosts this informative meme. 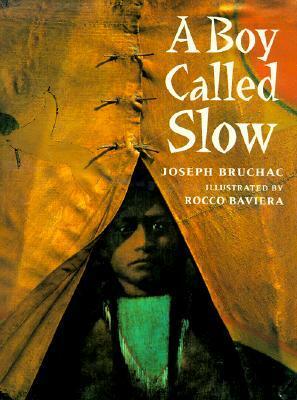 This is the biography of Sitting Bull of the Lakota Sioux, from his early years as a boy named Slow, who did everything slow to age 14 when he earned his new named Sitting Bull. He would become a great warrior as Sitting Bull. 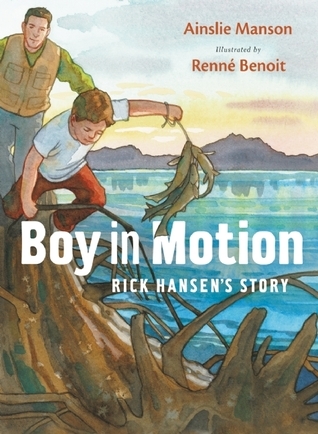 Rick Hansen is inspiring and seeks to better the lives of those who are disabled. This biography tells about his early life and how he faced being disabled, when as a teen he was thrown from a truck and was paralyzed from the waist down. But he was determined and battled to overcome his challenges. 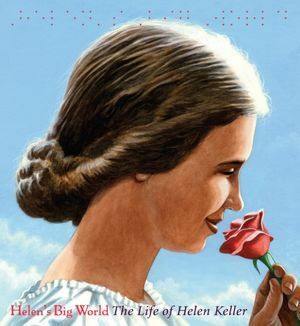 Such an amazing biography of Helen Keller, from her early years right until the end of her life, when she was such an activist and writer. Beautiful illustrations and Helen’s own quotes throughout the book, make this a very inspiring, enjoyable biography. 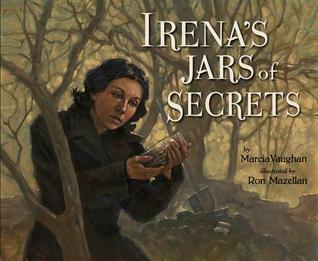 This biography tells the story of Irena Sendler who was, born to a Polish Catholic family. When the Germans occupied Poland and imprisoned the Jews into Warsaw’s ghetto, she used her position as a social worker to smuggle in food and medicines and then later to smuggle out Jewish children. Thousand s would be saved and she kept a record of who they were and where they were sent to in jars she buried. Another inspiring story. This month I have been working on my non-fiction picture book writing course – offered by Kristen Fulton (“Non-Fiction Archaeology). I am writing a biography of a special horse and enjoying the process. I have also started a week long blitz of writing 7 sloppy non-fiction picture book manuscripts for WOW Non-Fic Week (again with Kristen Fulton). We had to do the research beforehand -I did most of that research and have 2 scripts done. I have been trying to revise several of my picture books as I am attending the WOW Retreat from July 7-13, and we will have 4 of our stories critiqued in a round table format. It should be a week of learning and growing, I hope. As the mood or inspiration hits, I have also worked on my “Fired” nove. I am also continuing research on “Jacob’s Journey”. Save up to eight lives. Last week my husband and I made one of our regular trips to St. Joseph’s Hospital in Hamilton, for one of the many doctor visits my hubby must go to. last week was also the 11th anniversary of his kidney transplant. As we were leaving, we stopped by the display that advertised the Organ and Tissue Donation awareness campaign the hospital was running. 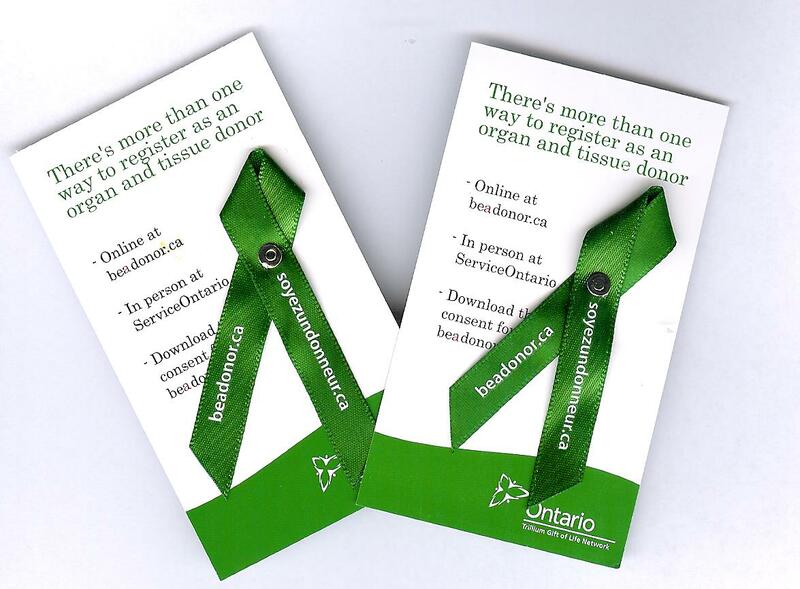 I really feel that being a donor is crucial – that it should be an opt-out on your license, not an opt-in. Having seen first-hand what dialysis is like, and how it effects your loved one, I urge people to register as a donor. As a donor, you can save up to 8 lives. What a gift to families who’s loved ones are suffering. Today it’s time to share what you’ve been reading lately. Jen at “Teach Mentor Texts” hosts this informative meme. 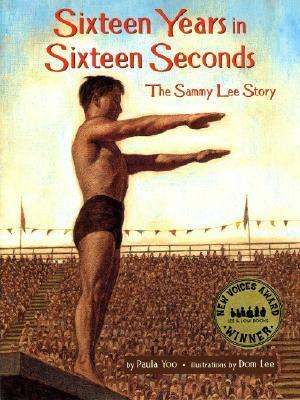 This book tells the story of Sammy Lee, who overcame many obstacles, including racism, to compete in the Olympics as a diver and win gold, twice. Well written. And a wonderful message of perseverance and determination to achieve one’s dreams. 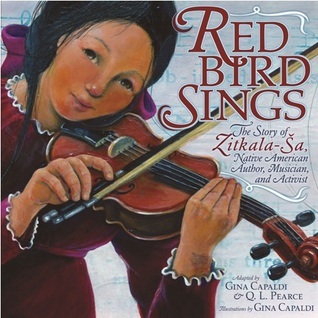 Another biography, this time of Zitkala-Sa, born Gertrude Simmons Bonnin, who was taken as a child to a residential school, but who would triumph, again over racism at the turn of the nineteenth century. She was a musician, a teacher, writer, and a political activist who sought to educate Americans about native people. The text uses her own writings to tell her story. This book is part of a series on refugees from around the world. 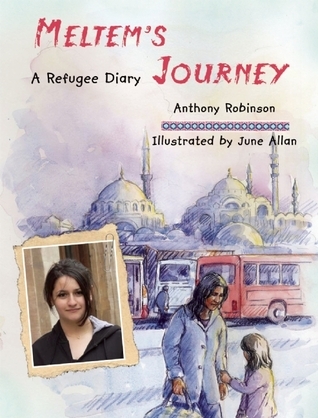 Meltem is a 13 year old Kurdish girl who must escape from Turkey with her mother. She finally settles in England but must undergo many delays and upheavals before she can be allowed to stay permanently. An interesting look at a refugee family and their trials and tribulations. The past few days I have been concentrating on my non-fiction writing course with Kristen Fulton. I have my topic, and have even written two possible beginnings. It is about a horse and have to decide who’s POV to write it from – the owners or the horse. I have done most of the research and gotten more books from the library today to do more. I have also been working on editing several of my picture book manuscripts. I have typed three up now na am working on revising and editing. Two have gone to my critique partners and am working on their recommendations. I also wrote 3 blog posts (two for this blog and 1 for my art one). The rest of this week i will be working to complete all the research for my horse NF book and then start planning it out. I also plan to work on another picture book script – needs a lot of revising, but one I really like. I have read a number of NF picture books this past week and will continue to do that this week. There are so many amazing NF books. All the best to everyone in the week ahead. 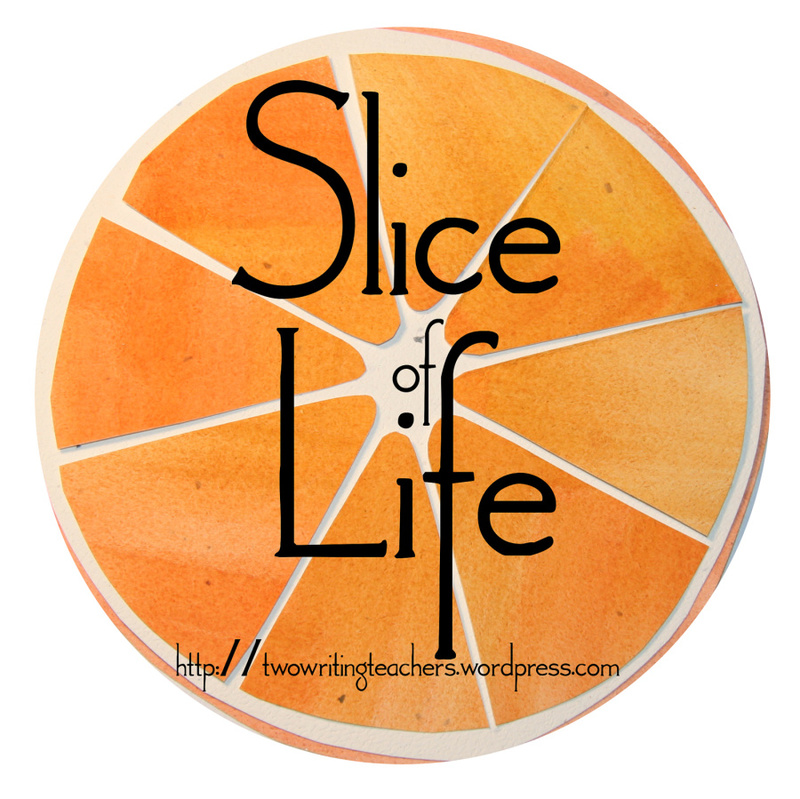 Today at “Two Writing Teachers” it is time to share a slice of life. was a solemn, heart wrenching service.Then this evening, I watched the Nationals coverage and I was touched once again. So many images will stick with me – the thousands of marching officers from all over Canada and even the US; the 3 caskets covered in our flag with their stetsons and belts on top, at the front of the arena ; Danny, the police dog, catching a last scent of his master; the wives receiving their husbands’ hat and flag. There were so many extraordinary moments: People in Moncton opening their homes to the hundreds who needed accommodation; the service being broadcast all over Moncton so that thousands could mourn together; so many wearing red in tribute to these men. It has been an incredible week – from the shootings last week; to the search for the killer and the outpouring of grief, anger, and then the massive, collective pride and love for the RCMP. May these men rest in peace, knowing they died heroes. Here is a link to the service.